Order within the next 11 hours 14 minutes and your order ships today! The terms and conditions presented below govern the sale of products to you by Phoenix Vapers Limited through phoenixeliquid.co.uk. By completing a transaction with phoenixeliquid.co.uk you agree to these Terms and Conditions. Our liquids contain Propylene Glycol, Vegetable Glycerine and Nicotine. Both Propylene Glycol and Vegetable Glycerine are used in everyday foods and are considered food safe. Nicotine, is an addictive toxin and self administration is entirely at the users own discretion and risk. Please make sure that you are fully informed of these effects prior to using our products. Do not ingest the liquid directly as it is toxic by ingestion or have prolonged contact with skin as nicotine will be absorbed. Keep out of reach of children. Exposure to the cartridges can lead to serious injury and death. Phoenix Vapers Limited are in no way responsible for the misuse or abuse of its products by you the consumer. When you place an order to purchase a product from us, you will be sent an e-mail by phoenixeliquid.co.uk on our behalf confirming receipt of your order and setting out the details of your order. Phoenix Vapers Limited reserves the right to change pricing and availability at our sole discretion. Prices online are exclusive to the website store only, prices in store may differ. Phoenix Vapers Limited are committed to protecting your privacy and will only use the information collected from you lawfully in accordance with the Data Protection Act 1998. Information is used only to process your order and to provide you with the best possible service. The type of information we collect about you includes: your name, address, phone number and e-mail address. We will not pass on your details to any third parties. Phoenix Vapers Limited do not sell our products for use by persons under the age of 18 or people who are pregnant. Phoenix Vapers Limited will ban your account if you are found to be supplying either of these populations. When you transact with us or send e-mails to us, you are communicating with us electronically. For contractual purposes, you consent to receive communications from us electronically and you agree that all agreements, notices, disclosures and other communications that we provide to you electronically satisfy any legal requirement that such communications be in writing. This condition does not affect your statutory rights. Phoenix Vapers Limited will be responsible for any losses you suffer as a result of us breaching these conditions if the losses were reasonably foreseeable to both you and us when you submitted your order to us, or a contract for the sale of goods by us to you was formed. We will not be responsible for any business loss (including loss of profits, revenue, contracts, anticipated savings, data, goodwill or wasted expenditure) or any other indirect or consequential loss that was not reasonably foreseeable to both you and us when you submitted your order to us or when a contract for the sale of goods by us to you was formed. Phoenix Vapers Limited does not accept responsibility or liability by law, in any way for death or personal injury caused from the use of our products. Phoenix Vapers reserve the right to make changes to our policies, and these terms and conditions at any time. You will be subject to the policies and terms and conditions in force at the time that you order goods from us, unless any change to those policies or these conditions is required to be made by law or government authority (in which case it will apply to orders previously placed by you). If any of these conditions is deemed invalid, void, or for any reason unenforceable, that condition will be deemed severable and will not affect the validity and enforceability of any remaining condition. Phoenix Vapers Limited are not responsible for any delay or failure to comply with our obligations under these conditions if the delay or failure arises from any cause which is beyond our reasonable control including but not limited to any statutory changes or rulings by any act. This condition does not affect your statutory rights. If you breach these conditions and Phoenix Vapers Limited take no action, we will still be entitled to use our rights and remedies in any other situation where you breach these conditions. 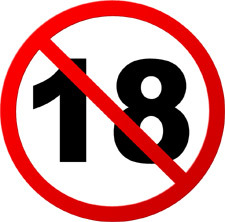 YOU MUST BE EIGHTEEN (18) YEARS OF AGE, TO PURCHASE ANY OF OUR PRODUCTS. PHOENIX VAPERS LIMITED RESERVES THE RIGHT TO CANCEL ANY TRANSACTION WHERE IT REASONABLY BELIEVES THE PURCHASER IS EITHER NOT OF THE REQUIRED LEGAL AGE OR PURCHASING PRODUCTS ON BEHALF OF AN INDEVIDUAL BELOW THE AGE OF 18. PHOENIX VAPERS LIMITED ACTIVELY ENCOURAGES PEOPLE NOT TO TAKE UP A NICOTINE HABIT. IF YOU ARE NOT ALREADY A SMOKER THEN PLEASE DO NOT BUY OUR NICOTINE CONTAINING PRODUCTS. WARNING: NICOTINE IS A POISON. NICOTINE IS HARMFUL. KEEP OUT OF REACH FROM CHILDREN AND LOCKED AWAY IN A SAFE PLACE. IF ANY NICOTINE PRODUCT IS CONSUMED, SEEK MEDICAL ASSISTANCE IMMEDIATELY AS IT MAY BE FATAL.